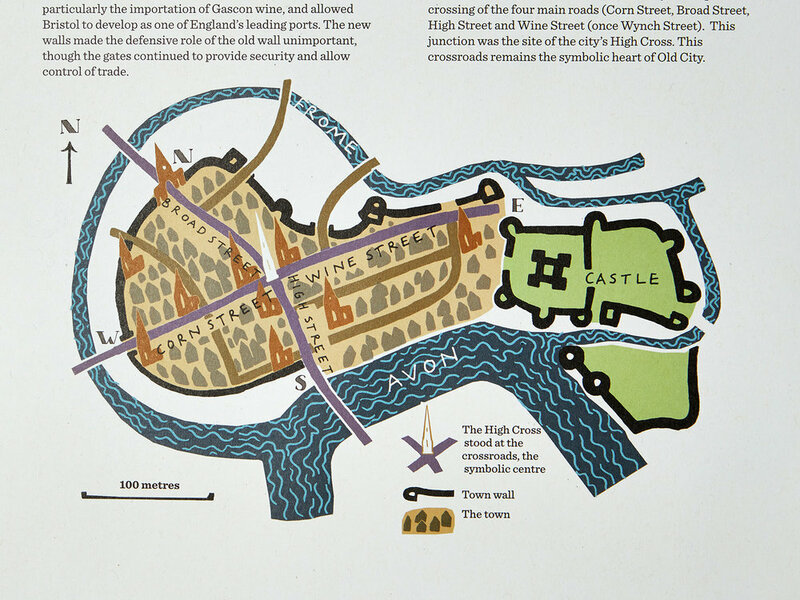 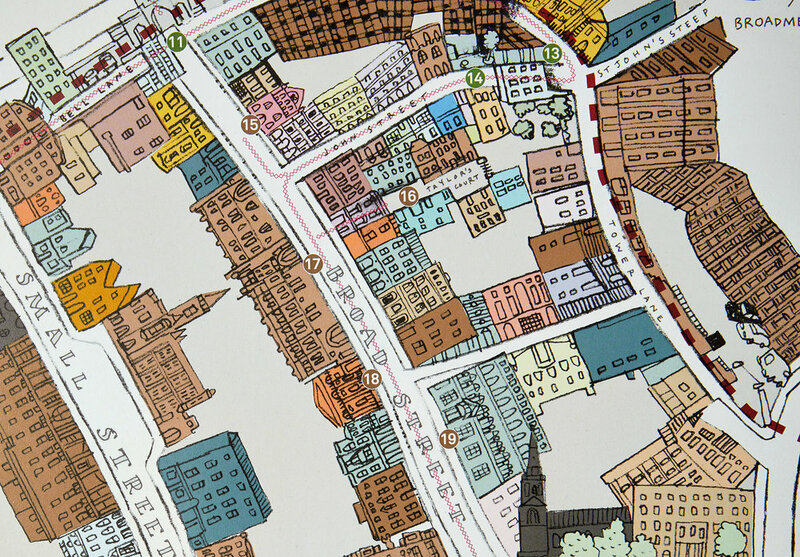 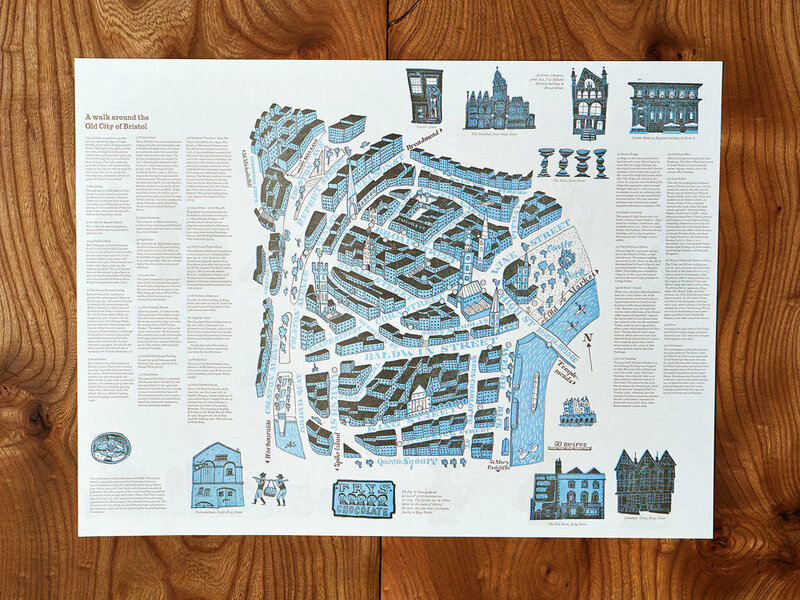 In collaboration the artist and printmaker Simon Tozer, the Bristol Old City Maps were designed and produced in partnership with local stakeholders and Bristol Civic Society. 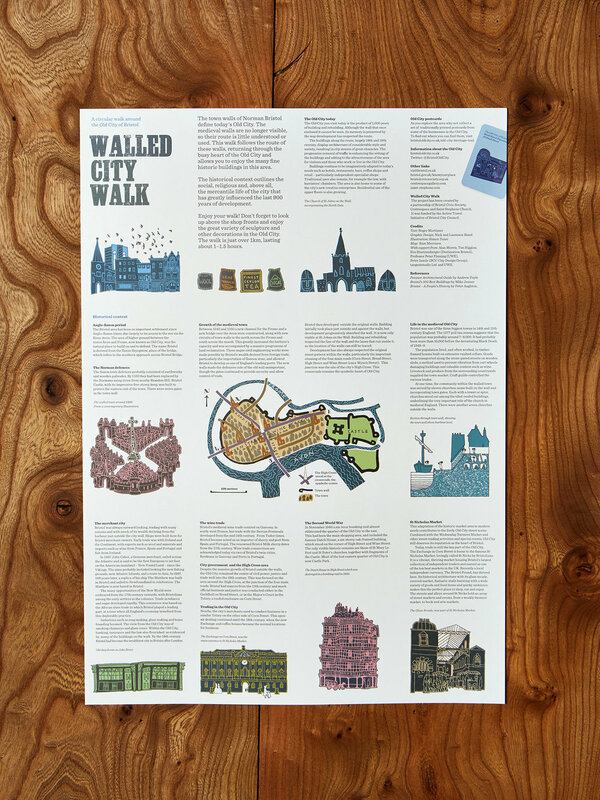 The Walled City Walk follows the town walls of Norman Bristol and explains the history of the area and its buildings and outlines those aspects of the social, religious and, above all, the mercantile life of the city that have greatly influenced the last 900 years of its development. 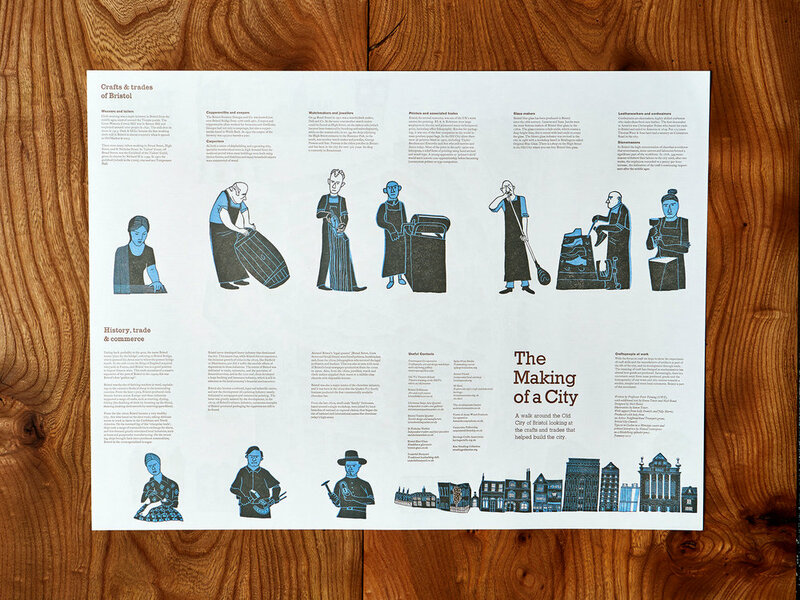 The Making of a City provides a guide to the crafts and trades that helped build Bristol.